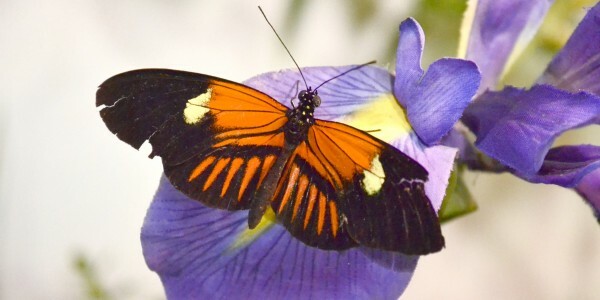 Butterflies are active during the day and feed primarily on nectar from flowers as adults. Although they cannot carry as much pollen as bees, they are important pollinators for some flowering plants. However, butterflies can be opportunistic pollinators, often visiting many different plant species instead of one specific type. Some butterfly species, such as the common Monarch butterfly, are also migratory and may travel up to 2,000 miles. Butterflies have fragile wings that can sustain damage from human handling or attempts to capture. Insects are best left in their habitats in the wild.